There is something very special about playing a round of golf on 212 hectares of tranquil, unspoiled landscape under brilliant blue South African skies. A visit to Pearl Valley will make you feel like you’ve stumbled upon a precious gem hidden between the Simonsberg and Drakenstein Mountains. There was no compromise in layout and design of this magnificent course and it holds true to its promise of an exceptional round of golf. 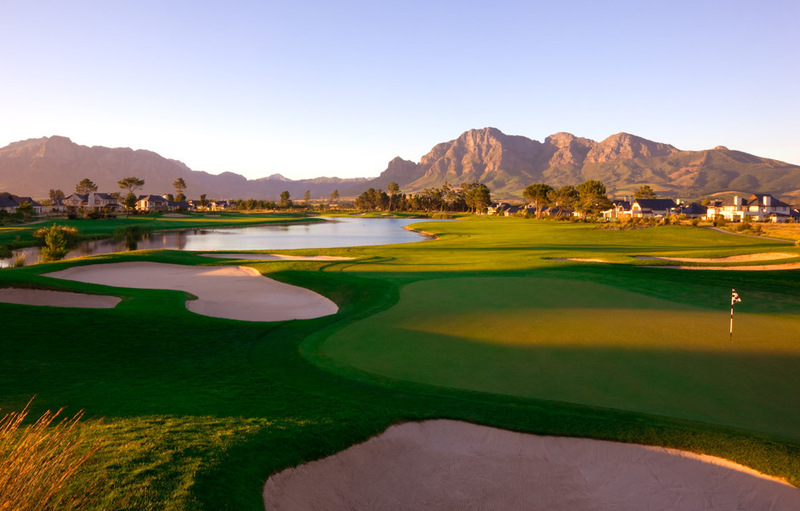 Designed by the legendary Golden Bear, Jack Nicklaus, it is easy to see why Pearl Valley Golf Club is ranked 7th in “South Africa’s 100 Greatest Golf Courses” and as the 4th “Best Conditioned Course in South Africa” by Golf Digest in 2012. 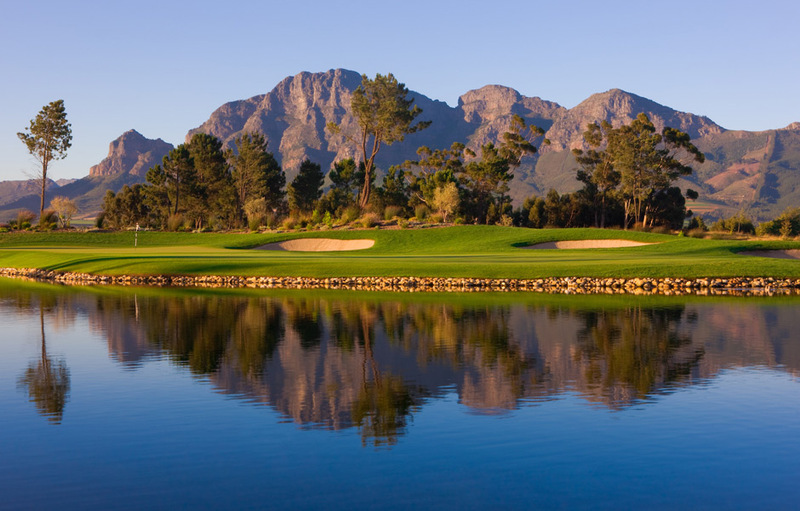 Situated between the famous Wineland towns of Paarl and Franschoek, Pearl Valley delivers the ultimate in golfing experiences. 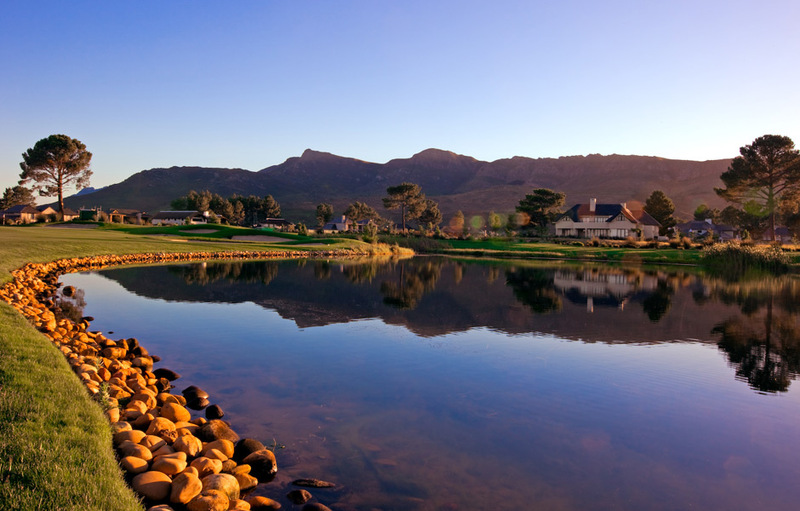 Surrounded by souring mountains, hillside vineyards, natural fynbos and the mirrored surfaces of clear flowing rivers, the course itself is a rich hue of luminous all-season fairways, white river-sand bunkers and dazzling water features protecting large, bent-grass greens. Nicklaus used his wealth of knowledge and experience in the game to develop a course which is truly in a league of its own. The total length of the course off the championship tees is 6, 749 metres, whereas the members’ length ranges from 5, 878 from the blue club tees with senior/ladies championship tees at 5, 586. The ladies course spans 4,706 meters. Each hole on the pristine course is challenging with strategically set bunkers and fast greens. The elements play a role here too, with a strong north-westerly wind in winter and a salty south-easterly in the summertime. Clever design ensures a variety of conditions on the course, with all par-three’s and par-five’s playing in different directions. Pearl Valley’s signature hole, the par-three 13th is visually stunning, and technically testing, with the greenside bunker collecting wayward shots. If you’re looking for one of the best par-fives in South Africa, with real ‘risk and reward’ you’ll find it on Pearl Valley’s fourth hole, where you’ll cross the river three times on your way to the green. The course’s tee-boxes are perfectly manicured and the ever-green Ryegrass fairways are exquisite. Bent-grass greens that run consistent and true will reward good putting. This is a luxurious course. 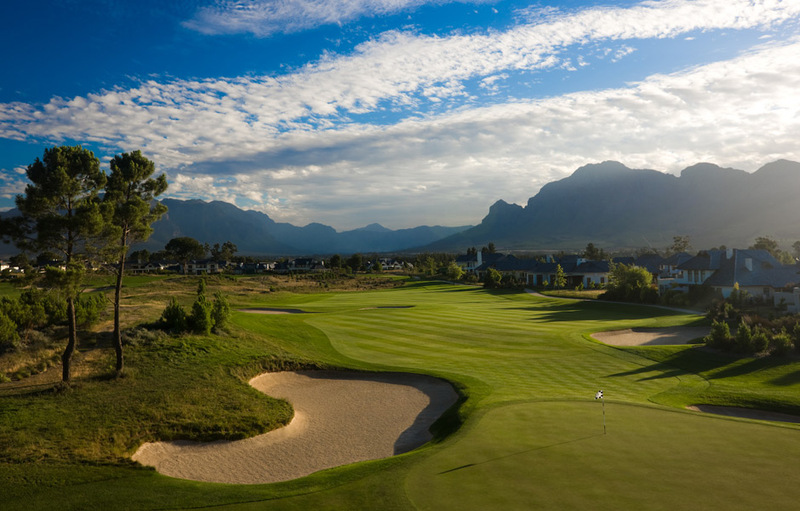 Nestled in one of the world’s most picturesque vales, overlooking the course’s 18th hole, the Pearl Valley Clubhouse is a luxurious and sophisticated retreat. 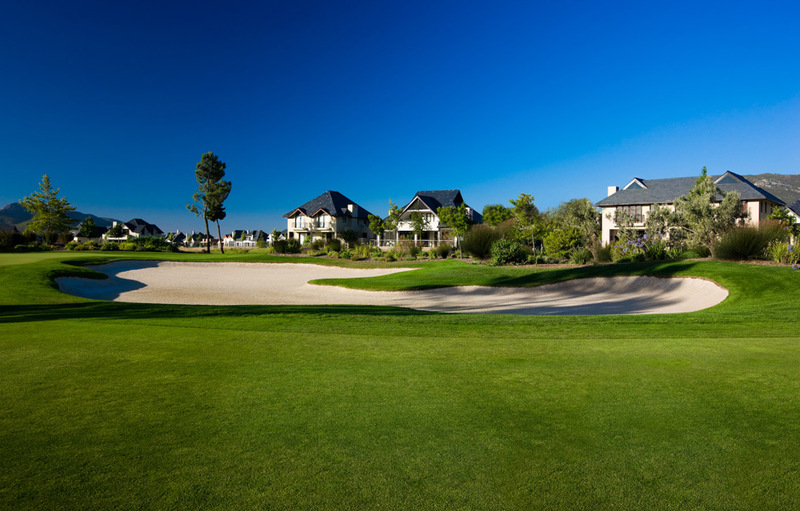 Home to formal and casual restaurants, a library and intimate cigar lounge as well as a hairdressing salon, health and beauty salon, state-of-the-art gym and Pilates centre and pottery and painting studios, the Clubhouse caters to golfers and non-golfers alike. Children are welcome and the family is sure to enjoy memorable times on the vast pool deck with three separate swimming pools, water slides and an al fresco eating area. A fully supervised crèche is available. A golf clinic helps to pass on the love of the game to the youngsters in the family, and a host of outdoor and indoor activities from horse riding, fishing, and tennis, to arts and crafts, internet access and computer games are available to choose from, all under the watchful eyes of qualified teachers. Teenagers can participate in exciting paintball, and quad biking. 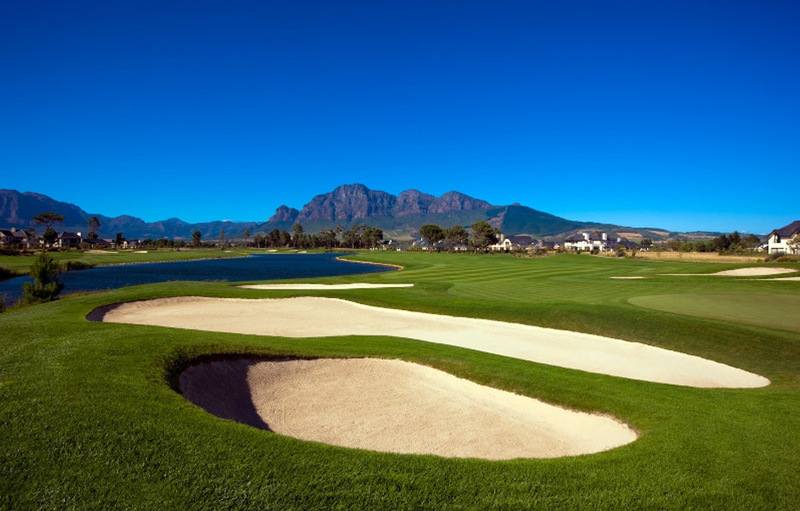 Pearl Valley’s SwingFit Performance Academy provides expert golf and fitness instruction and training. Local and international coaches make it one of the top golf coaching programmes in South Africa. Whether you’re new to the game or a seasoned professional, all abilities are catered for in either individual or group coaching sessions focused on golf biomechanics, strength and conditioning, mind and swing.